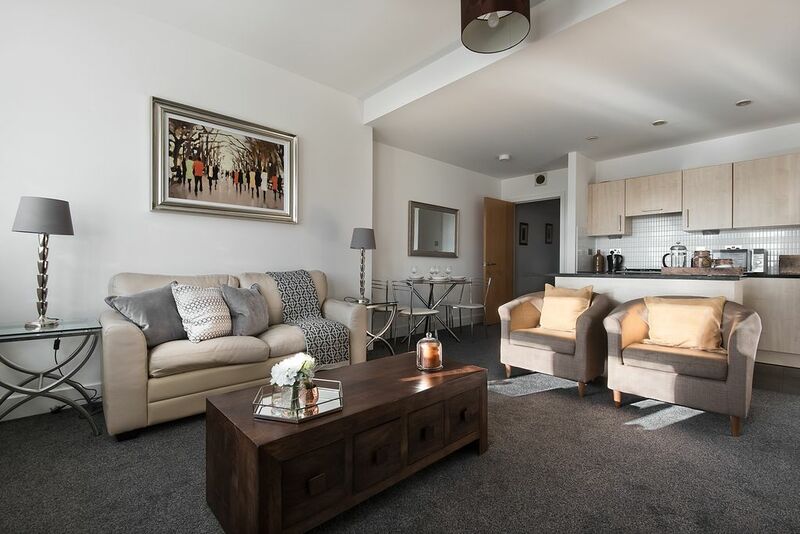 Modern & Spacious flat located in heart of Glasgow on Buchanan street. The flat is an ideal location for travels that want to explore the city or just on a business trip. Easy access to subway, bus station you name it. Ideal location for shopping, Historic House of Fraser across the road & Princess Square 2 min walk. Many Bar s & Restaurants all walking distance Many Stores open until very late and plenty open 24 hours.